BACKGROUND: For background to this Religious Liberty Prayer Bulletin (RLPB), please see RLPB 408 (24 May 2017). This warned that the 19 May re-election of President Rouhani (against the express wishes of Ayatollah Khamenei and the Iranian Revolutionary Guards Corps), as well as US President Trump’s hostile 21 May speech in Riyadh could trigger an escalation in persecution against the Church as Iran's 'real powers' (and that does not include the president) strike back. Indeed, escalating tensions -- both domestic and international (including the voluminous 'regime change' rhetoric emanating from the West) -- may well explain the massive jail terms levelled against many believers in recent weeks. 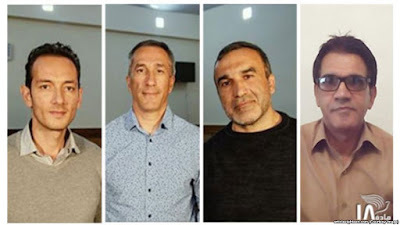 On 12 June three Azerbaijanis and an Iranian national learnt that Judge Ahmedzadeh had sentenced them to ten years in jail for 'missionary activities' and 'conducting activities against national security'. 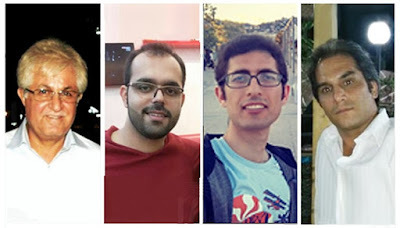 The four had been arrested at a wedding in Tehran on 24 June 2016. However, last November the Azerbaijanis -- Yusif Farhadov, Eldar Gurbanov and Bahram Nasibov -- were permitted to return home after posting bail [RLPB 386 (30 Nov 2016)]; they will not be imprisoned unless they return to Iran. Meanwhile, the Iranian national, Persian convert Nasser Navard-Goltape, will bear the brunt of this punishment. Bahram Nasibov, Eldar Gurbanov, Yusif Farhadov and Naser Navard Gol-Tapeh. 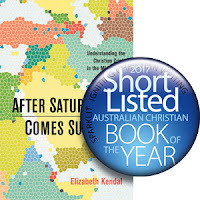 On 3 and 4 July Judge Ahmadzadeh handed 10-year jail terms to Pastor Victor Bet-Tamraz (an Assyrian) and three Persian converts associated with his ministry. 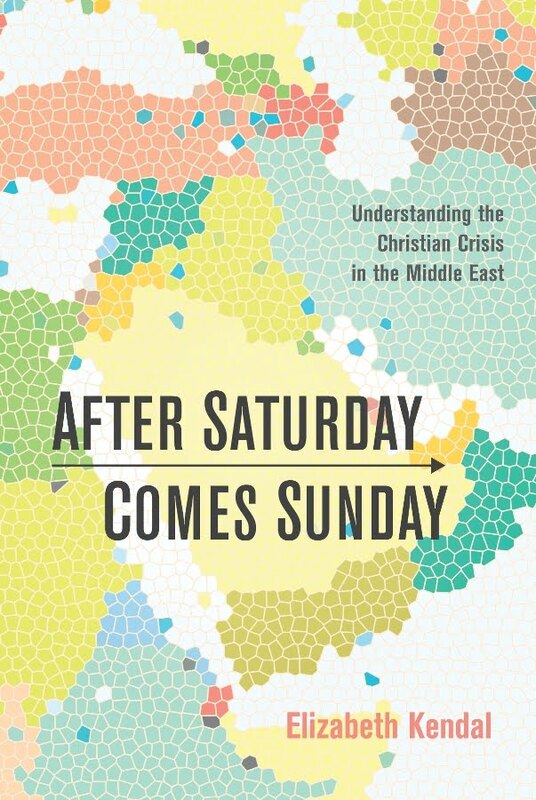 Though the authorities closed Pastor Bet-Tamraz's Tehran Pentecostal Assyrian Church in 2009, believers continued to meet in house fellowships. Pastor Bet-Tamraz and Persian converts Kaviyan Fallah-Mohammadi and Amin Afshar-Naderi had been arrested along with other believers at a Christmas celebration on 24 December 2014. 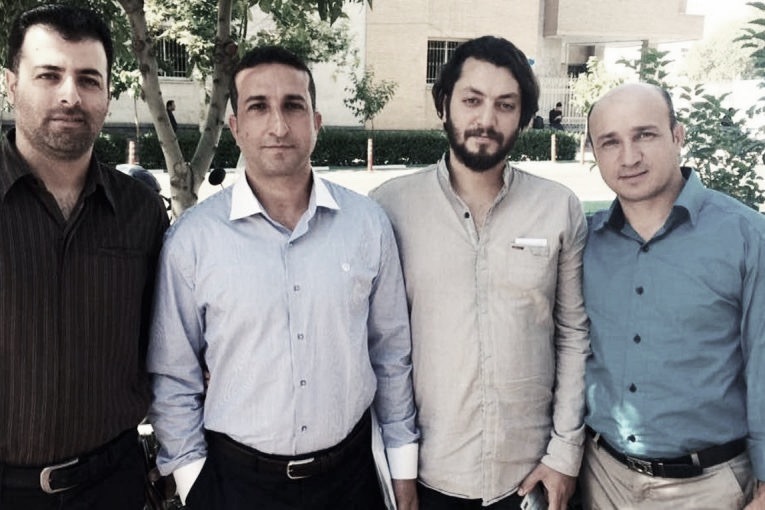 The other convert sentenced, Hadi Asgari, had been arrested with other believers, including Pastor Victor's son, Ramiel, at a picnic in Firuzkuh in August 2016. [Amin Afshar-Naderi, who was arrested with Pastor Victor in December 2014, was bailed in February 2015 and re-arrested at that same August 2016 picnic.] Pastor Victor and the three Persian converts were deemed guilty of 'conducting evangelism', 'illegal house church activities' and 'acting against national security'. Amin Afshar-Naderi's sentence was extended by five years after he was also deemed guilty of 'insulting the sacred' (i.e. blasphemy). Bet-Tamraz and Fallah-Mohammadi have posted bail, but Hadi Asgari and Amin Afshar-Naderi remain incarcerated, with their bail terms substantially increased to about US$80,000. Condemned to 15 years in prison, Amin has commenced a hunger strike. Pastor Victor's son, Ramiel (arrested at the August 2016 picnic), has been charged with 'organising and creating house churches' and 'action against national security'. Furthermore, in June 2017 Pastor Victor's wife, Shamiram, was summoned from her home to a court at Evin Prison where she was charged with 'participating in foreign seminars' and 'acting against Iranian national security'. Both Ramiel and Shamiram have been released on bail and are awaiting trial. On 6 July four members of the Church of Iran in Rasht -- Mohammadreza Omidi, Yasser Mossayebzadeh, Saheb Fadaie and Pastor Yousef Nadarkhani -- learnt that Judge Ahmadzadeh had sentenced them to ten years in prison for propagating house churches and promoting 'Zionist Christianity'. The men had been arrested on 13 May 2016 in a series of raids. [Pastor Nadarkhani will be well-known to intercessors who upheld him through his previous incarceration: see RLPB 176 (12 Sept 2012).] During the 14 June hearing hard-liner Judge Abolghasem Salavati entered the court room and interrupted proceedings, scoffing that 'Christians make foolish claims'. Salavati is notorious for issuing harsh sentences that include physical punishments (like lashings) to high profile dissidents. In 2012 Salavasti imprisoned Nadarkhani's lawyer, Mohammad Ali Dadkhah, who was condemned to nine years in prison, a fine and a flogging (converted to a fine) for his alleged crimes against the state. Analysts suspect that Salvasti's presence in the court was intended to pressure Judge Ahmadzadeh into issuing severe penalties. Significantly, Mohammadreza Omidi and Pastor Yousef Nadarkhani will have to serve two years of their sentence in internal exile, far away from their families: Omidi in Borazjan (more than 1100km due south of Rasht) and Nadarkhani in Nik Shahr (some 2000km south-east of Rasht). * all Iranian Christians currently imprisoned or suffering persecution because of their faith and witness; may they have a palpable awareness of the love of the Father, the presence of the Saviour, and the counsel of the Spirit. * the growing yet vulnerable Iranian Church; may the Lord give believers -- especially their pastors and leaders -- all the wisdom, grace and strength they will need to travel this increasingly difficult and dangerous road. 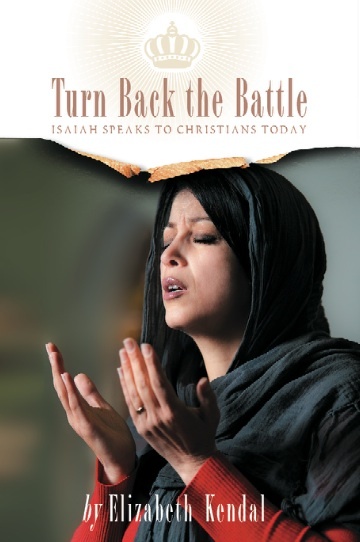 * God to intervene in the nation of Iran; may those who rage 'against the Lord and against his Anointed' repent, for Iran belongs to Jesus (Psalm 2). 'Look among the nations, and see; wonder and be astounded. For I am doing a work in your days that you would not believe if told.' (Habakkuk 1:5 ESV). On 12 June three Azerbaijanis and an Iranian, arrested at a wedding in June 2016, received ten year prison terms for 'activities against national security'. On 4 July Pastor Victor Bet-Tamraz and three Persian converts received ten year prison terms for 'activities against national security'. They had been arrested at a Christmas celebration in 2014 and a picnic in August 2016. Pastor Victor's wife, Shamiram, and their son, Ramiel, have also been charged and are awaiting trial. On 6 July four members of the Church of Iran in Rasht received ten year prison terms for propagating house churches and promoting 'Zionist Christianity'. Two of those sentenced, including Pastor Yousef Nadarkhani, will spend two years in internal exile far away from their families. Please pray for these Christians and for Iran.